i’m trying to start a new feature for my blog, so each (or maybe each-ish) thursday, i’ll show you the nails from a past show. today, check out the nails from the dior fall ’12 ready-to-wear show. the collection, one of bill gaytten’s lasts before raf simons replaced him (really replacing john galliano), it featured beautiful gowns that seemed true to the brand’s label. the nail art was a surprise from the sophisticated house who doesn’t dabble in the pedestrian very often. the shattered effect has been played out for a while now, but i love this alligator, reptilian hide effect. 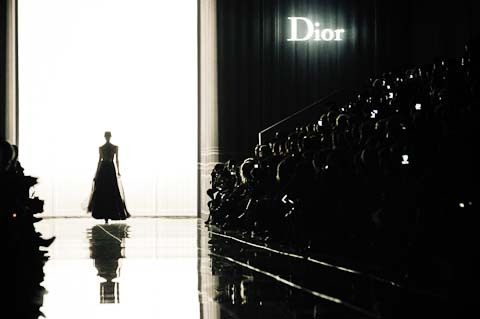 i’m not sure of any other brand who has done this as elegantly as dior has. 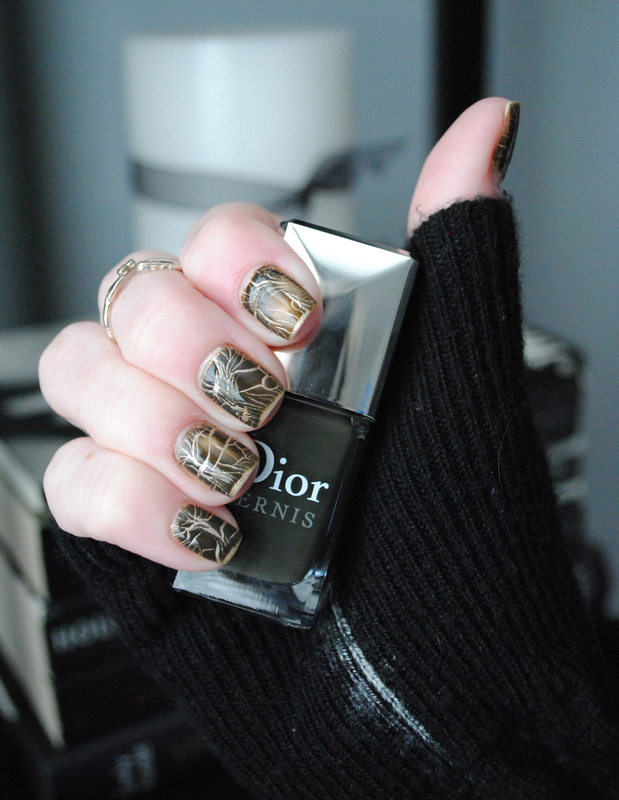 to get the effect, start with a base coat, then two thin coats of dior’s golden half of the jungle duo. i let the first coat dry, and while the second coat was still tacky, i applied the rubbery second coat that forms the scales. you can play with thin and thick coats to get the specific effect you want. a thin coat will split more, making the scales appear thinner; a thicker coat will show more pronounced scales. wait for the shattering effect to finish completely; i recommend waiting at least ten minutes, and then add a clear topcoat to seal everything in. you can still find the golden jungle duo on amazon, and sometimes ebay, so if you are on the hunt for the discontinued set, don’t lose hope.